Overture team up with interactive masterminds fourclops::) to create an awesome promo for Tokimonsta and Gavin Turek’s track “Clean Slate”. 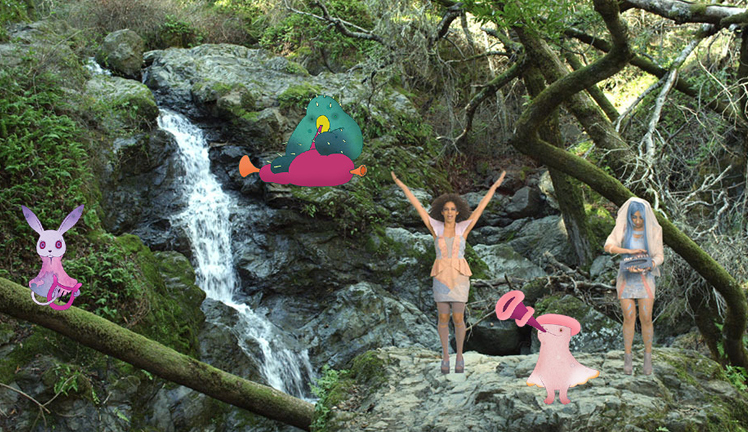 Constructed as a musical sticker book experience, “Toki’s Monstas” (a.k.a the interactive music video) invites users to drag and drop down to Earth the most adorable alien monstas ever, populating the performances of artists Tokimonsta and Gavin. Each little creature comes with its own sleek dance moves and there are no restriction regarding the number of monstas you can beam down, hence feel free to let the lovely aliens literally invade the Earth! At the end of the video you’ll be presented with 3 personalized snapshots of your sticker book creation, to be shared with friends among social media platforms. Wicked! Overture team up with interactive masterminds fourclops::) to create an awesome promo for Tokimonsta and Gavin Turek’s track “Clean Slate”. Constructed as a musical sticker book experience, “Toki’s Monstas” (a.k.a the interactive music video) invites users to drag and drop down to Earth the most adorable alien monstas ever, populating the performances of artists Tokimonsta and Gavin. Each little creature comes with its own sleek dance moves and there are no restriction regarding the number of monstas you can beam down, hence feel free to let the lovely aliens literally invade the Earth! At the end of the video you’ll be presented with 3 personalized snapshots of your sticker book creation, to be shared with friends among social media platforms.